This month we are featuring women who significantly contributed to development of supplier diversity initiatives in Canada. If you missed the beginning of the series, click here to catch up. 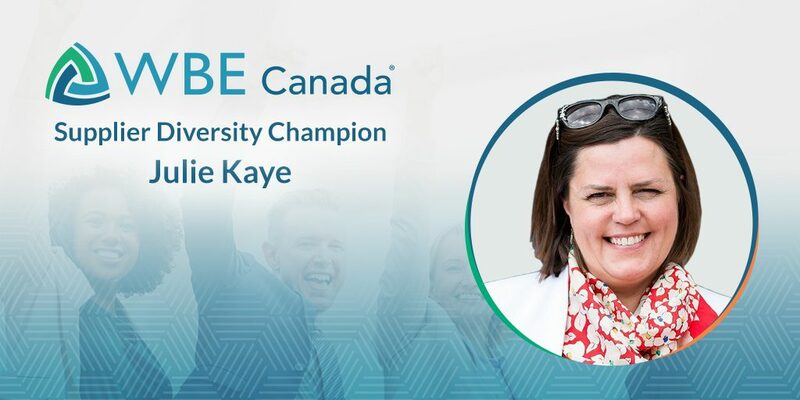 Today it is our pleasure to introduce one of our own, Julie Kaye who is part of our certified WBE community. Julie Kaye is President, Co-Founder & CEO of TBD Telecom By Design. She is an entrepreneur who built her two businesses from the ground up and is now dedicated to moving the dial one woman at a time through her advocacy work with women owned businesses. Julie is a Board Member as well as a Chair of WBE Canada’s Supplier Advisory Committee, as an advocate and a voice for Canadian WBEs. 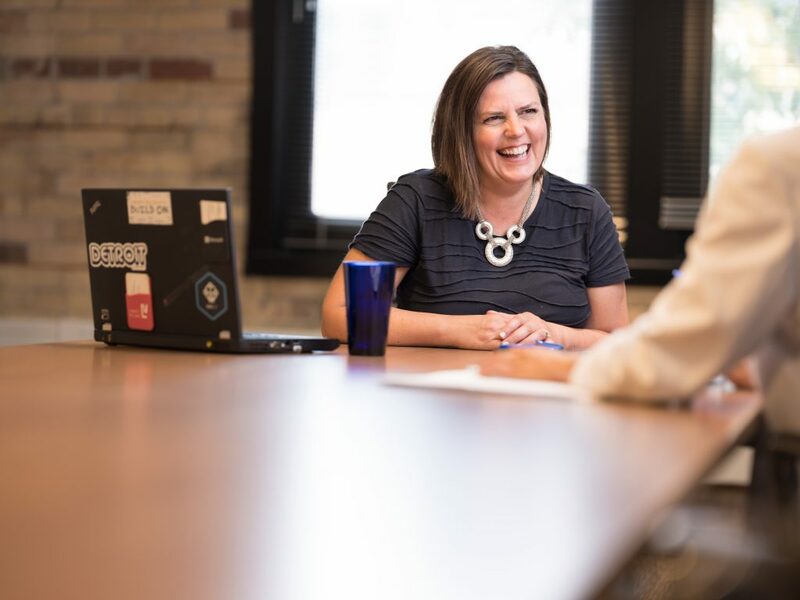 She envisions a world where women entrepreneurs wouldn’t be a diversity checkmark, a world where it wouldn’t be surprising for women to be recognized for their expertise. WBE Canada: How did you become involved with WBE Canada and/or supporting women through supply chain? Julie: I strongly believe that women-led and women-owned businesses are underutilized as a driver of growth for the Canadian economy. Our impact is being recognized, but we still have a long way to go to see it translate into numbers in favour of women entrepreneurs. I am a woman of action, I have always been advocating to increase women visibility and engagement in procurement and the Supply Chain. Over the years, I have volunteered my time where possible to further WBE Canada initiatives: providing feedback, creating connections, volunteering at local events, participating in inaugural Canadian and US events, and testing of procurement software. TBD Telecom By Design became a WBE Canada certified business in 2014. I have served on the Supplier Advisory Committee since 2016 and was voted Chair of this committee in 2018. Through this, I was appointed to a position on the WBE Canada Board. This is the first time a Supplier Advisory Committee member has held a seat on the board. I feel it is a great time for women to get involved with WBE Canada and contribute to building the future of women-led and women-owned businesses in Canada. WBE Canada: In your opinion, why is supplier diversity important in Canada? Julie: Supplier Diversity remains a largely untapped opportunity for businesses led by women and other minority owned and controlled businesses in Canada, there is a blatant lack of awareness of the programs and openings available. Being a diversity supplier is a strategic business model, it gives access to the bidding process. We need to bring visibility to those opportunities. WBE Canada: Share your favourite story or achievement you personally experienced or witnessed in the supplier diversity space. Julie: One of my most profound moments happened at a WBENC Event in Philadelphia. I was attending the conference alongside WBE Canada and seeing the formidable turnout around Supplier Diversity, the amount of resources available and spend through diverse supplier channels in the U.S. was a personal wakeup call. We needed to have those important conversations here in Canada, and I wanted to be part of building the pathway to change. WBE Canada: Supplier diversity is still fairly unknown in Canada. What is your recommendation to other leaders who want to learn more or support women through their organization’s procurement? Julie: Take the time to educate yourself, learn the language of procurement, understand where you stand in the supply chain ecosystem (are you Tier 1, Tier 2, Tier 3), understand where your most important clients stand. Research which companies you are best suited to get in front of, be aware of the tools and opportunities at your disposal to reach those buyers and build bidding strategies to convert them into clients. Include your team in this journey, make sure they are on board and aware of the importance of Supplier Diversity, educate them, make sure they are engaged, know what they are selling and how they are selling it. And remember, Supplier Diversity is as much a business strategy for the Supplier as it is for the Buyer who has internal diversity policies to contend with. As a woman-led and woman-owned business in Canada you bring a different perspective, it is a competitive advantage. Make sure to make the most of it. WBE Canada: What women inspire you and why? Julie: I am inspired by women who are actively being allies for other women. The brave, aware and mindful women who take action. Those who roll up their sleeves to bring visibility and contribute in making change happen. The women who stand up to lead the way to inclusion, who create the space for other women to grow and thrive. WBE Canada: What message would you like to share with Canadian women-owned businesses? Please be aware of Supplier Diversity and Social Procurement, join and support organizations like WBE Canada. Change is a long process, and those organizations have a central approach in bringing the change needed. The more support and participation WBE Canada gathers, the more weight we have, and the better chance of success we have in achieving equity and greater access for all. Having meaningful conversations creates pathways to finding solutions, it opens doors. On a more personal note: Don’t sell yourself short, you are already amazing and didn’t get where you are today by standing on the sidelines. Jump on and make the most of every opportunity that will help your business grow. Supplier Diversity is one of those opportunities.